Traveling with your rat can be fun for both of you, so long as you prepare for it and are properly supplied for the session. If you are going on a long car trip, you should get your rat used to being in the car beforehand. 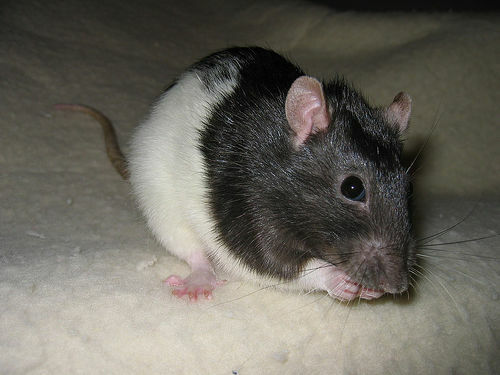 Start off by going on short trips, and then gradually longer trips, with your rat. That way it won’t be nervous when you embark on a long journey. In terms of cages, you should buy a travel cage or container, as its home cage is usually too big and is meant for domestic purposes. It is dangerous to bring a multi-level cage, because your rat could bang against something if your car comes to a sudden stop. You can put it in its travel cage for short periods before you embark on your journey. Make sure your rat can get lots of air, and that it is properly secured. You can usually secure cages with a seatbelt. While driving, do not attach water bottles to your rat’s cage. 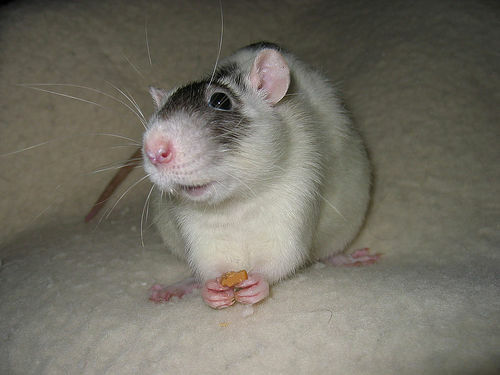 Jerky movements may cause the water to leak out on to your rat, which could get it sick. Instead, you should stop every couple hours to give water to your rat so that it can properly hydrate. If there are a few rats in the cage, you should bring at least two bottles for the watering sessions. Don’t let the water bottles sit in the sunlight, because they will get hot, and rats don’t like hot water. The best idea is to bring along a cooler and place the rat’s water next to your own drink bottles. When you pack up your car, make sure that all of the rat’s supplies are in easy reach. Have all of their food, litter and medicine in one place, like a plastic bag, that is easy to reach. You should also make everything easy to take into a hotel room (or wherever you are staying). You should also take along extra hiding blankets and old rags or blankets. Keep your rat’s cage as clean as possible, for your rat’s comfort and for your own. Do not let your rat get too cold or too hot. If you are going to a hot place, make sure your air conditioner works, or else it could get a heat stroke. In the winter, you could bring along Snuggle Safe Heating Pads, which are hard plastic disks that can retain heat for 12 hours after your microwave them. You can stop at gas stations and reheat them on the way, too. Click here for a video about traveling with rats and different carrying cases. Ten Most Popular Dog Breeds in America: Good Dogs For Travel? Hi. My principles daughter gave her rat to my teacher now it is a class pet. I was planing on bringing the rat to the beach over spring break. My teacher has been sneezing because of the rat and, she is giving it away. So I asked her if I could have it and she said yes. Now I have a pet rat named Sharpay. I am bringing my rat to the beach and I am driving there. So this web sight gave me so many helpful ideas.